Find & taste delicious edible wild greens, flowers and fruits! 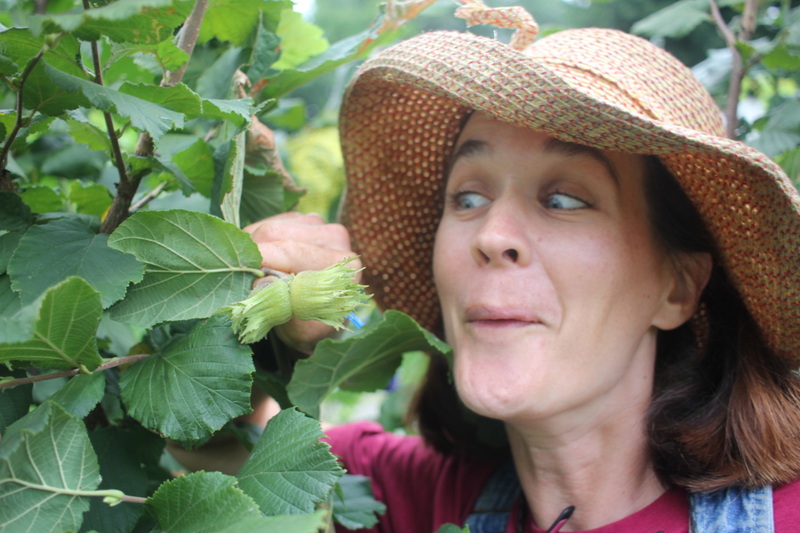 I wrote a blog post for the Urban Agriculture Coalition- check out my notes & photos of almonds, hazelnuts, peanuts and black walnuts! "Dirty Girls Drinking Club" welcomes everyone-- hang out with snacks & beverages and help weed the garden. Urban Agriculture Coalition on Forward Radio! Nut cracking is in full swing! Lots of Food is tackling Louisville's vacant lot problem with shovels and compost. 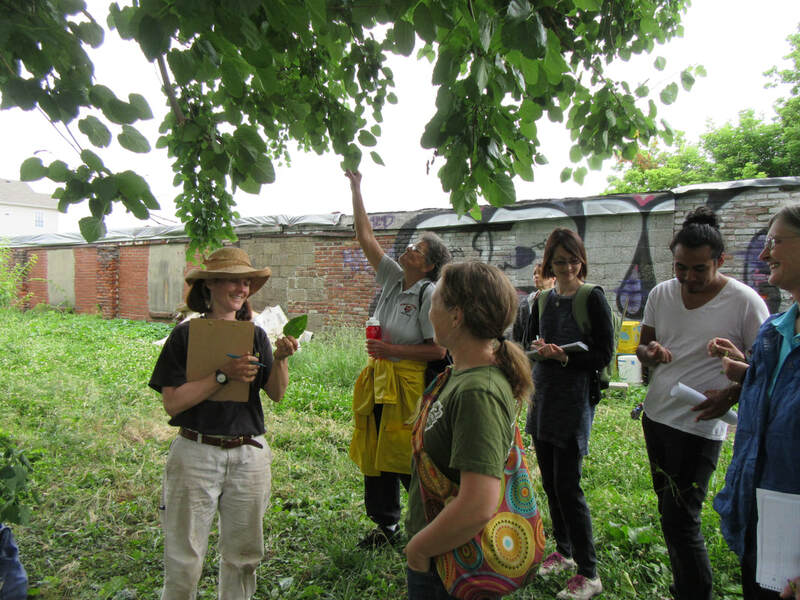 What was formerly 5 contiguous vacant lots have been transformed into a 1/3 acre market garden and orchard. In 2014 I planted the first trees, fruits, herbs, and vegetables on this lovely fertile land in Louisville's Portland neighborhood. Lots of Food purchased 5 contiguous vacant lots from Louisville's Land Bank Authority, the agency that holds foreclosed vacant property and makes it available to citizens for redevelopment. Find the link on our You Can Do It page.